Inevitably, on a keto diet, you're probably going to start craving bread products. It happens to the best of us, but you have options when it comes to your flour options. If you've never experimented with the different kinds of flour available, it may take you a few tries before you find one that you really like. Almond flour makes great tortillas and it has that nutty and slightly grainy taste that you'll get from a corn-based tortilla. Coconut flour is great for general baking, and it has a sharper and crisper taste. After some time, you'll find that each type of flour is useful for specific purposes. You may even begin to wonder why you cared so much about bread in the first place. Almond flour is by far one of the more popular flours used on a keto diet. This type of flour is made by finely grinding the almonds and blanching the almonds to remove the skins. This also helps to remove lectins if that's something you're concerned about. 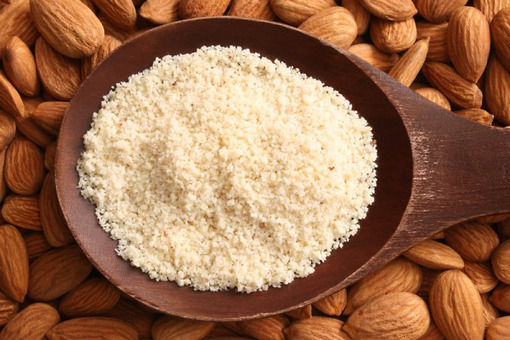 Almond flour is a great choice because it has a smooth texture with a rich flavor. Compared with other nut flours, almond flour is higher in calcium than any other nut available on the market. The flour is also healthy and provides you with a rich source of vitamins and minerals that your body needs to repair itself and maintain healthy levels. When it comes to the nutrition of almond flour, it's pretty low in carbs. There are only three net carbs per serving. A single serving is typically about 28 grams or 1/4 cup of the finished flour product. It has only 160 calories and it gives you three grams of fiber, which is something that can be hard to come by in a typical keto diet. Normally, you want to get about 30 grams of fiber per day. One serving provides 10 percent of that number. When looking for almond flour, try to find the least processed flour you can locate. You don't want to ingest almond flour that has been made with less than healthy options. It's not a bad idea to store your almond flour in the fridge once you've opened it for the best preservation. Another closely related option to almond flour is almond meal. While some cooks argue that almond flour is actually almond meal, the fact is that most almond meal is made differently from almond flour. Rather than blanching the almonds to get rid of the skins, with almond meal, the skins are kept on the almonds. This results in a coarser and more gritty texture that may work well in most dishes. Since almond meal is easy to produce, it also tends to cost a bit less than almond flour. One smart way to use almond meal is as a way to make your almond flour last longer. Replace 1/4 of your flour with almond meal and you'll get a more cost-effective option. Coconut flour is another pleasant tasting flour, but it's less popular than almond flour. It's very low in carbs, and it has a high level of protein, fiber and healthy fats. If you're really trying to up your fiber content, this is probably the best flour for you to use. However, coconut flour tends to be a bit dry, which means you'll want to add eggs and other ingredients to prevent your food from seeming overly dry. One good technique you can use is to add water and then let it stand for a few minutes. The coconut flour will absorb the water and make for a thicker base. This can help you get a bit more moisture into your recipe as well. Coconut flour is low in calories and high in everything else that matters. It has only 45 calories for 18 grams of flour or about 2 tablespoons. With that serving size, you'll get 11 grams of carbs, 8 grams of fiber and a total of four grams of protein. This makes it an excellent option for getting some of that much-needed fiber on a keto diet. 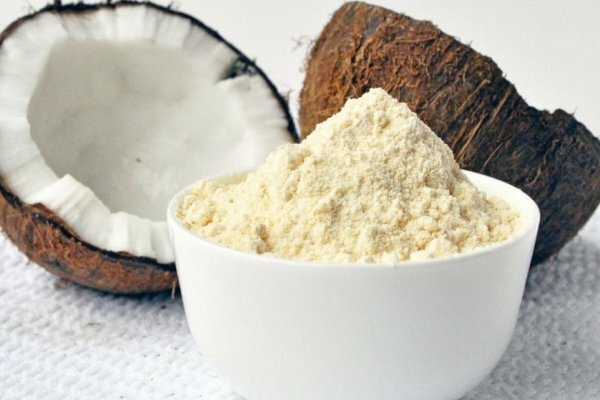 Coconut flour is becoming much more common, and you'll easily be able to find it at your local health store. But, you can also usually get pretty good deals from online retailers. Coconut flour has the ability to easily absorb moisture, so storing it outside of the fridge in an airtight container is a good idea. This isn't technically a flour, but it can make a great substitute for flour. Ground flax seed has an impressive nutritional profile and you'll be able to plenty of vitamins and minerals from this flour. It contains vitamin B1, Omega-3 fatty acids and copper, which may be lacking especially in the early stages of a keto diet. Flax seed is a good option to replace flour in recipes because it has a very similar texture. It also has a fairly decent amount of moisture so you can use it to replace eggs in most recipes as well. However, it's not going to make your baked goods fluff and rise in the way that eggs will. Use a 3:1 ratio of water to eggs to replace a single egg in your cooking. If you're looking for a flour with low net carbs, this is the one you'll likely want to turn to. It still has more fiber than almond flour, but it doesn't match the fiber content of coconut flour. It also has a few more calories than coconut flour. One serving is about 2 tablespoons or 14 grams and contains 70 calories. It also has zero net carbs, four grams of fiber and three grams of protein. It's crucial that you store flax meal in the fridge as soon as you open the package. These seeds can easily go bad, and you'll probably want to find an airtight container to prevent them from going bad more quickly. There are plenty of seed and bean flours that are also available. When looking for a seed or bean option, make sure to check the total net carbs and the level of fiber. 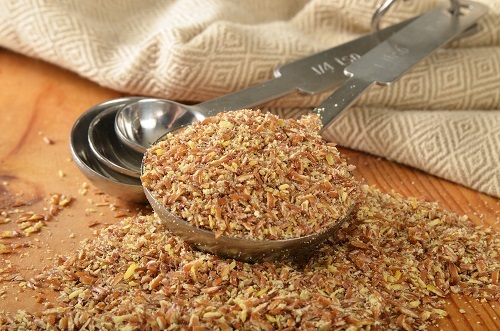 Sunflower seed meal offers a good option if you have an allergy to nuts or coconut. Since sunflower seeds are generally allergen-free this is a great option for people who have intolerances or allergies. Another option is pumpkin seed meal. Pumpkin seeds are actually fairly tasteless and it's the sugar and spices that they are loaded up with in the fall that gives pumpkin its "pumpkin" taste. Pumpkin seeds are a fantastic source of protein and they can serve as a healthy alternative to traditional flour. Sunflower seed flour is higher in calories than most other flours. With 160 calories per 28-gram serving, you're getting a lot of nutrition though. Sunflower seeds have about 7 grams of protein, 3 grams of net carbs and they have a healthy dose of fat at 14 grams. Sunflower seeds also have a small amount of calcium and iron. They are a good source of vitamins and minerals, including vitamin E, vitamin B6, folate, niacin, phosphorous, selenium, magnesium, and copper. Pumpkin seeds can help promote a feeling of calm and relaxation, and a similar 28-gram serving size has 140 calories. You'll still get 7 grams of protein but they are higher in net carbs at 4 grams. Fat content sits right at 12 grams. Hazelnuts are a good option for those who are on a low carb diet. Compared to almonds, they are lower in carbs and have slightly more fat. They are lower in protein, but they provide a meal that can be very finely ground and that provides a certain level of sweetness to your cooking without the need for sugar. 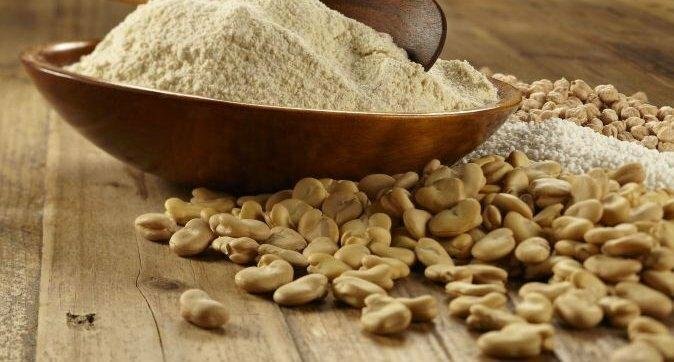 In fact, virtually any nut flour is a good option for a low-carb diet. They contain the right kind of fats to help you burn calories more effectively and they have a good proportion of macros to keep you in ketosis. Since you can easily turn any kind of nut into flour, you can check out the many different types of nut flours available and find the one that meets your needs. On the list of low-carb options, a typical serving of hazelnut flour or meal contains only 2 net carbs. It's second only to flax meal when it comes to the most commonly used flour alternatives. It also contains 3 grams of fiber, 6 grams of protein and 120 calories. This makes it one of the better options if you want something that will give you a good amount of fiber without few net carbs. If you have a quality grinder, food processor or a grain mill, you can create your own flour at home. This is the best way to get the freshest flour, and you can experiment with different ingredients and mixes until you find something that works well for you. When grinding at home, you'll know that nothing has been processed or removed from the final mix. It makes it easier to store since you only have to make the flour when a recipe calls for it. Make sure you use the right equipment for the job. Flour that is ground at home maintains more of its nutrients. If you plan on grinding more fibrous materials, you'll need to steer clear of the impact mills. These are made for flour that comes from non-oily, dry grain or dry beans. Steel mills may be a better choice for grinding tougher foods, but another option for grinding nuts is to use a food processor. The food processor will be able to handle nuts more easily and you'll likely get a better result, but you'll want to move cautiously to avoid creating nut butter. The best option for grinding nuts is to use a powerful blender. This will give you a fine powder in less than 20 seconds.